The benefits of this excellent service. FaxFX is defined by innovation, and as such it is constantly looking for ways to move the market forward and provide increasingly good service for its customers. In addition to being able to send and receive faxes from your email account, you can also send faxes from programs with print capabilities. This is possible with the FaxFX Printer, which allows you to fax from Word, Pastel, Excel, and similar software. You are able to add your Microsoft Outlook contacts to Fax Printer’s contact manager through synchronisation. You are able to enhance your security through password-protected sending. The FaxFX Faxf Printer is available for download from the FaxFX website at http://www.faxfx.net/services/print-to-fax/. 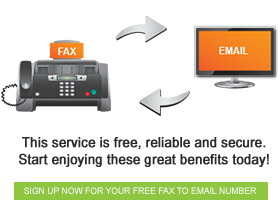 Download it today and start experiencing the ease of electronic faxing with FaxFX.